Meta Hemp Solutions Hemp Extract quickly and effectively helped reduce our stress. Being a student is stressful. In fact, one might even label that as a “gross understatement” when describing student life. Not only are our bodies bursting with hormones, but we have classes, extracurricular activities, a social life to tend to, cooking, cleaning, hygiene, all while trying to figure out who we are and what we want to do with our lives. So yes, being a student is stressful. But worry not, Meta Hemp Solutions Hemp Extract is here to help! 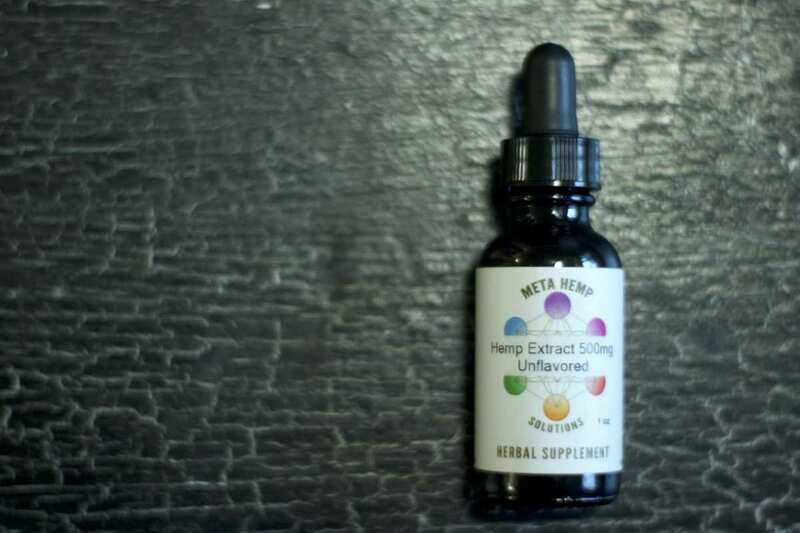 We tested Meta Hemp’s 500mg strength tincture. It’s a potent and easily applicable product. The performance is obvious, providing a calming effect faster than a CBD vape pen or edible. 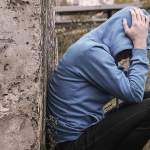 Meta Hemp Solution Hemp Extract is great for relieving anxiety, providing a long-lasting feeling of relaxation without the psychoactive effects of THC, making it a great every-day solution. 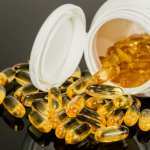 This extract is also effective in dealing with joint pains and post-workout soreness. Whether you run or weight-lift, Meta Hemp is awesome in mitigating all the aches and pains from your workouts. We were paid a fee by Meta Hemp Solutions and offered free products in return for our honest opinion. If you purchase a product from one of these links, we’ll receive a percentage of sales. We only select the highest-quality CBD products for review on our site. Read more about sponsored content on Ministry of Hemp. Read on to learn more about Meta Hemp Solutions Hemp Extract, and to see our complete review. Meta Hemp extracts their CBD using a Spagyric extraction process, which is a traditional alchemic extraction method. 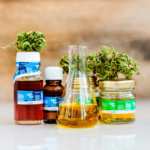 This is key to their product as it extracts all the therapeutic constituents of hemp without destroying delicate cannabinoids, terpenes, alkaloids, fatty acids and minerals. This is done because the extraction process never exceeds 98 degrees Fahrenheit, this means that the extract is as potent and natural as possible. Additionally, Meta Hemp sources their hemp from local & organic hemp farms in Colorado. 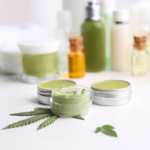 They put the hemp through a rigorous series of tests that check for the potency, pesticides, heavy metals, and bio-contaminants to ensure purity.The resulting product is a full spectrum, hemp extract that reflects the amount of care, education and expertise that Meta Hemp Solutions does to insure the best possible product. 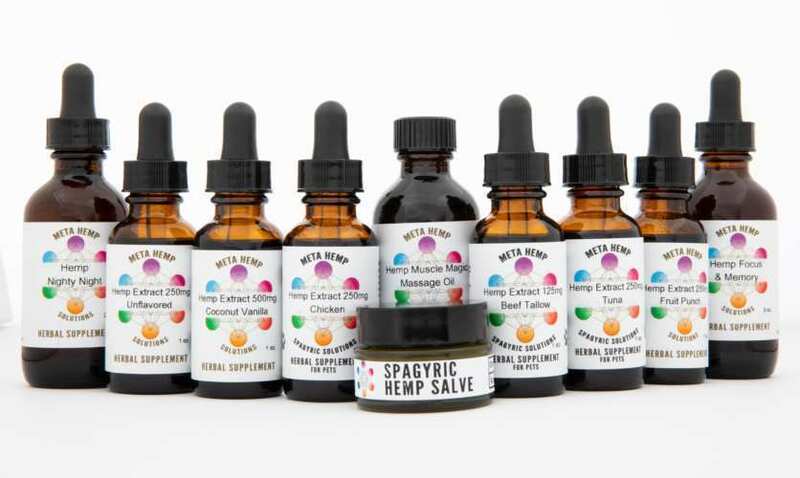 Highlights: Meta Hemp Solutions Hemp Extract is a potent, natural, and convenient CBD tincture for relieving the aches and stress of everyday life. Customer Service & Shipping: Fast customer service. Shipping starts at $4.99, with free shipping available for orders over $50. Flavor: A strong flavor of hemp with sweet, slightly nutty notes. Grape alcohol helps the tincture go to work quickly, but adds a noticeable alcohol flavor to this extract. Other: Also available in Fruit Punch and Coconut Vanilla varieties using all natural flavors. Meta Hemp Solutions sources all their hemp from local farms in Colorado. They also make a topical hemp salve, and hemp extracts in special pet-friendly flavors, among other great products.